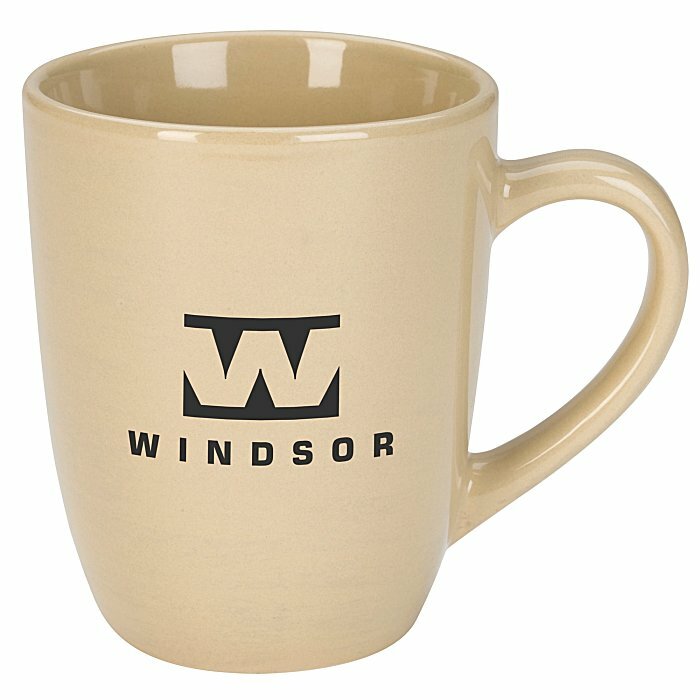 Customize this stylish mug with your brand! These bold ceramic mugs are perfect for your morning coffee or tea. Stylish brush-painted finish with a glossy exterior and interior provides an attractive backdrop for your logo. Large C-shaped handle provides a comfortable, reliable hold on your beverage. Exterior and interior colour coordinate and are available in unique colours. Size: holds 355mm (14 ounces). 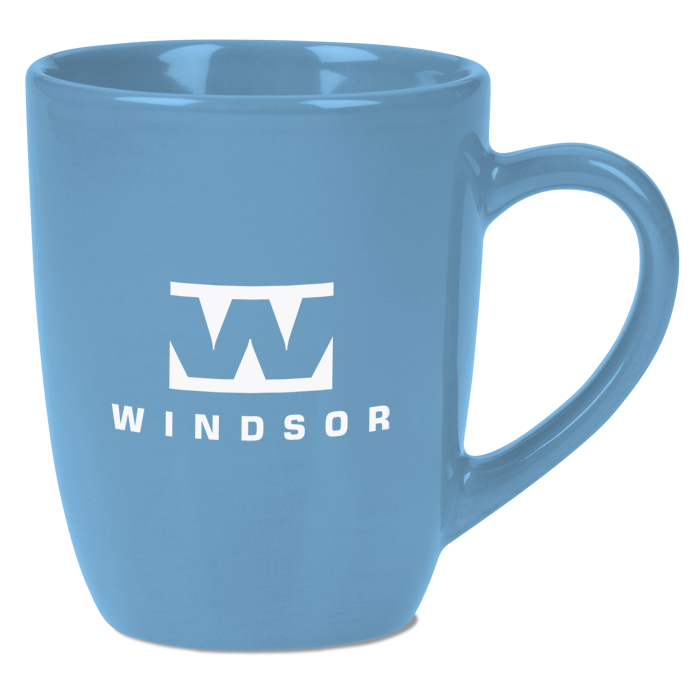 ORDER THIS CLOSEOUT SPECIAL, WHILE SUPPLIES LAST! 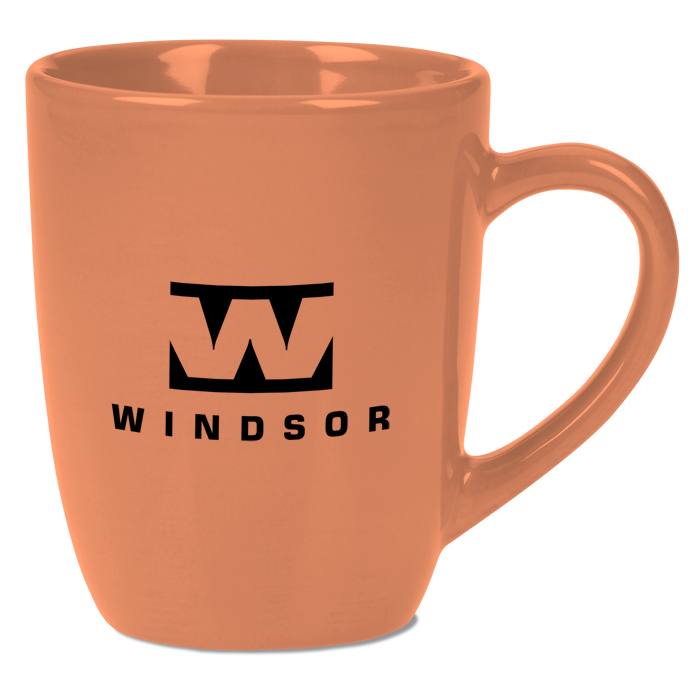 Your price includes a one colour imprint on front of mug. Imprint size: 50 x 50 mm (2" x 2").